Execute that perfect play with Kaskey Kids' Football Guys! Kaskey Kids offers the perfect combination of play elements: action figures and sports! These figurines were designed to inspire imagination and give children time to be creative by engaging them in open-ended play where they control all the action. 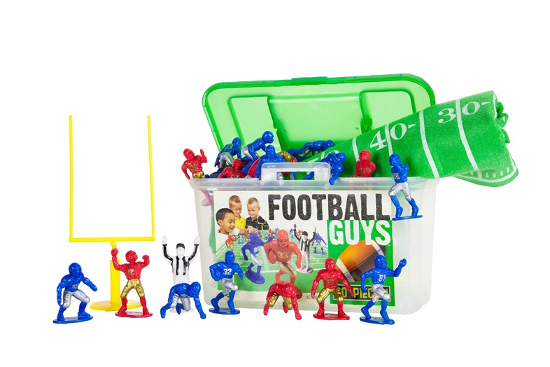 The Football Guys kit features a complete bundle of football action figures that make up two full teams, a realistic felt field, and other sports accessories packed into a handy storage container. 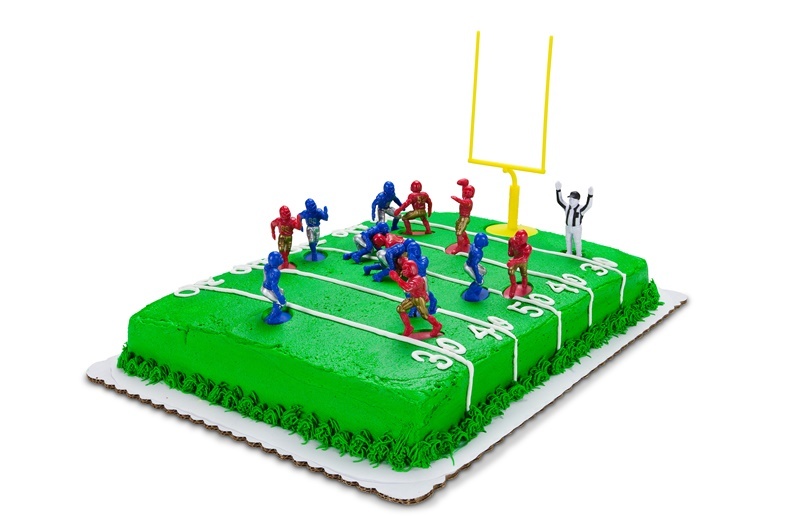 These rugged Football Guys are not only great for classic play, but they're also useful as a visual teaching aid by coaches and parents or as the perfect cake toppers, decorations, and centerpieces for sports-themed parties -- just in time for the Super Bowl! Kaskey Kids has been featured by national publications like Sports Illustrated Kids and InStyle and is the winner of multiple Toy Industry awards. Tryazon will select 50 hosts for this opportunity. Rally your friends and family for an epic Kaskey Kids Party before or even during the Super Bowl and carry your team to victory! Learn more about the products and party by clicking the tabs below. 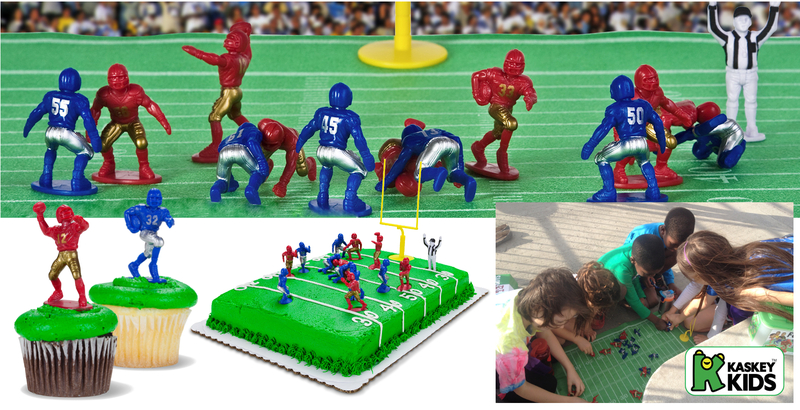 • 1 set of Blue vs Red Football Guys, featuring a complete bundle of football action figures—26 players!—that make up two full teams, a realistic felt field, goal posts, and a referee packed into a handy storage container. • An assortment of Football Mystery Packs to hand out to your guests when they leave. In 2002, Christy Kaskey blended her desire to find the perfect toy for her sports loving kids with the memory she had of her brothers entertaining themselves for hours on end with the classic action figures of their childhood: Army Men, Super Heroes and Cowboys and Indians. Throughout the design process, Christy wanted to retain the value behind these classic toys and the benefits they gave of open-ended, child-driven, fun and imaginary play, but wanted the action figures for her children to focus on the sports they loved. Christy credits the success of each of the toys to the feedback she received from her own children during the design phase as well as the boys and girls in their kindergarten and 1st grade classrooms who acted as her focus groups. Each toy in the Kaskey Kids line has been recognized in the industry for the creative and imaginative play they inspire, but the greatest satisfaction Christy feels is when she hears from a parent how much her toys are loved by their children. "Knowing that my toys are chosen, loved and played with, even with all the high tech electronic options out there, is very satisfying." After ten years in business, a trend that Christy hopes will continue is the gender neutral way many of her customer’s view her toys. "We knew Soccer Girls would be a hit for 3-8 year old girls, but I have been thrilled to hear that so many fathers are spending time with their daughters using Football Guys, Hockey Guys and Baseball Guys. Playing with our toys is a great way for a parent to pass on the love of a sport and in some cases explain the rules." Use #tryazon and #KaskeyKids to include your tweet on this page! The fun begins in February, when parties will be hosted!